This entry was posted in Blog Hops, Wordless Wednesday and tagged Brody, Comedy Plus Wordless Wednesday, Trouble, Wordless Wednesday, XMas Dolly by pilch92. Bookmark the permalink. Hey! That could be ME in that tunnel. In fact, maybe it is! Come visit us 🙂 Yes, Trouble looks like she could be your daughter- any explanations? Ha! That’s such a cool picture. You two are sort of like bookends! Actually KaTwo can be quite scary when she has episodes from her feline hyperesthesia. Most of the time she is good though. Looks like a lotta fun happening there in the Pilch house!! Great picture. It’s always fun watching the kitties run through it. Too cute. What a wonderful picture. You all have a fabulous day. Trouble and Brody… double Trouble???????? You two look ready for some fun! Love the photo! Those kitties are just tooooooo cute! Aw, you have such precious kitties. You really do. Thank you 🙂 I hope you had a nice day too. Sweet! And that’s an interesting fact from Penny. Be well! Attention! Wordless Wednesday! Eyes forward! One in the tube, one out – very cute! guyz….ya couldna planned thiz foto better if ya staged it…ya noe 🙂 984 pawz UP !! Here kitty, kitty & then I bet they come runnin’, right? They’re adorable! Thanks for sharing! Hi cuties! PS: I will always have a special place in my heart for Brody. Hppy Wednesday and you did make me laugh. All those eyes! Thank you 🙂 Happy Wednesday! MOL good one! No words needed. So adorable the way they are siting like that! 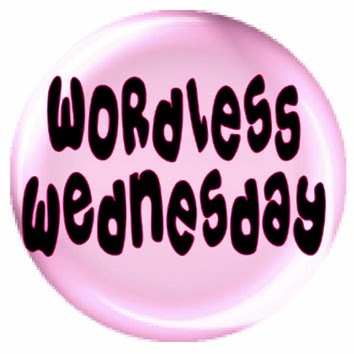 Happy Wordless Wednesday. We love the photo that you shared. Time to having a relaxing night watching some tv in and out of the tunnel. Thanks for sharing. Have a wonderful day. Thank you 🙂 We hope you had a nice day too. love that photo! I wonder if they know there is a kitty on the other side? Thank you 🙂 I think they knew the other was there. What a cute photo! You all made us smile! They look like best friends. They must be thinking the exact same thing too!! Two peas in a pod for sure!